Backyard Springtime Wildlife in New Jersey. More testing out my new telephoto lenses. I don’t have the Kirk Arca-Swiss adapters, so the images were taken hand-held using the lens vibration reduction (VR) to stabilize the image. Are You Looking at Me? 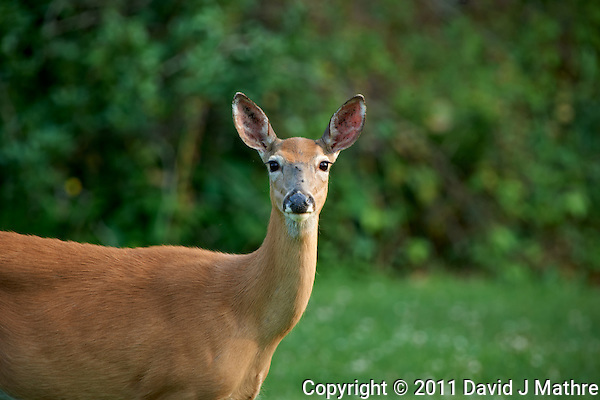 Doe in my Backyard. Outdoor Nature in New Jersey. Image taken with a Nikon D3x and 500 mm f/4 VR lens with TC-E III 20 teleconverter (ISO 250, 1000 mm, f/8, 1/60 sec). Image processed with Capture One Pro 6, Focus Magic, Nik Define, and Photoshop CS5. 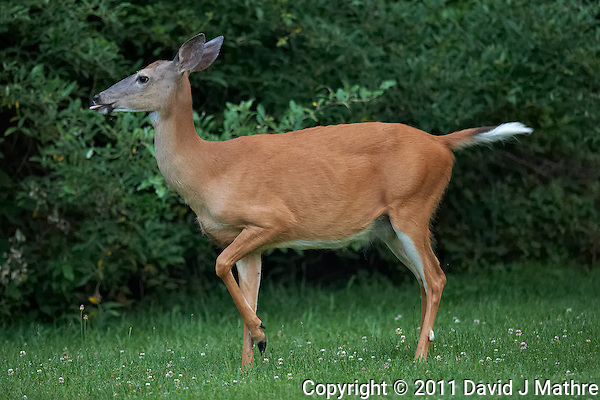 Pointer Doe Deer with Her Tongue Out. Outdoor Nature in New Jersey. Image taken with a Nikon D3s and 600 mm f/4 VR lens (ISO 3200, 600 mm, f/4, 1/640 sec). Image processed with Capture One Pro 6, Focus Magic, Nik Define, and Photoshop CS5.